When I discovered the STRATOMAX Vehicle Hooked on U Shaped Slam Latch Doorstep with Safety Hammer Function for Easy Access to Car Rooftop Roof-Rack,Doorstep for Car, Jeep, SUV ($13.99), I suddenly had visions in my head of Ansel Adams perched on top of his station wagon photographing Moon Over Hernandez. In my case, I don't want to be standing on the roof of my Audi A3. So I was searching for alternative ways to use my car for heightened perspectives for landscape photography. What I've noticed over the years, is that even a slightly elevated perspective helps eliminate distracting foreground elements. So the concept of a foot petal that works with the door latch of my car was quite appealing. 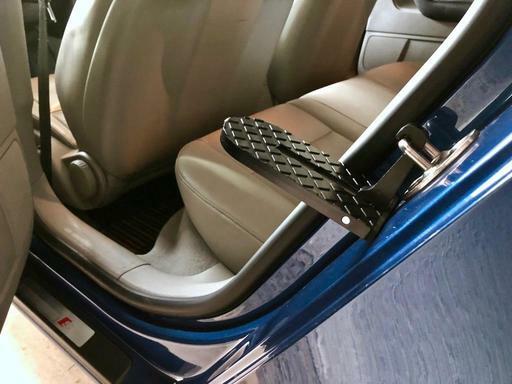 The concept is that this lightweight piece of machined aluminum connects to the door latch loop on the car, allowing you to step up to reach a cargo bin. And for this purpose, I think it works pretty well. The key factor is that you have something to grab on to once you step up. The problem for photography, however, is that you don't have anything to hang on to once you step up. And depending on where your car manufacture has positioned the latch, this could be quite tricky. For example, on my Audi A3, the latch is high, and I can't really balance myself well enough for photography. On my Saturn SL2, however, the loop is lower, and I can put one foot on the step, and the other on the door armrest, and it works pretty well. The Saturn was never high enough to give me the perspective that I wanted, so the door latch step is a nice upgrade. 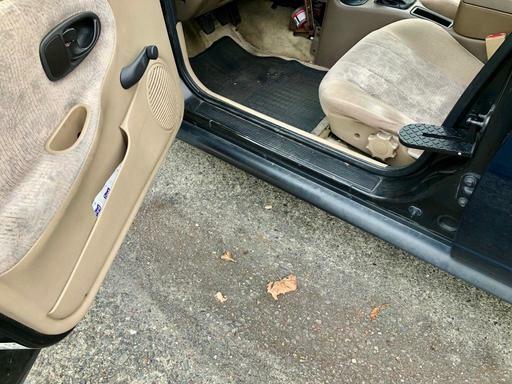 The door latch is lower on the Saturn than the Audi. Here the step works well. My advice is, if you are tempted by the STRATOMAX Vehicle Slam Latch Doorstep, consider two factors. First, how high is the loop for your door latch, and second, do you have anything to hang on to once you step up. If there are positive answers to both of those questions, then this $14 gizmo can help you elevate your perspective for landscape photography. As for mine, it's going in the Saturn. The Audi is just too precarious with it. This is The Digital Story Podcast #676, Feb. 26, 2019. Today's theme is "What We Can Learn from the Movies" I'm Derrick Story. The Academy of Motion Picture Arts and Sciences awarded Oscars in a variety of categories on Sunday night. Aside from the sheer star power on display, there's an amazing amount of artistic risks and rewards that can serve as lessons for our own work. In this week's show, I present 5 photography takeaways from my favorite movies of 2018. Green Book - Honored for Best Picture, this story of a road trip through the Southern United States at a time of segregation is a great illustration of juxtaposition. A white driver hired by a black musician overcoming their predisposed judgments as they meet challenge after challenge. We can bring that same richness to our photography by creating and finding images that challenge our viewer's preconceived notions. Picture this: a little old lady helping a fireman across a busy street. Bohemian Rhapsody - The story of the rock band Queen and its front man Freddy Mercury. They were not always popular, in fact, far from it in the early years. This is an excellent lesson in being true to your vision, even when others discount its merit. Not every artist who insists on going his or her own way will enjoy the success of Queen. But they can share in a similar satisfaction that they followed their vision and refined it to the best of their ability. Blackkklansman - This story of a black under cover detective impersonating a white man and gaining access to the Klu Klux Klan is both entertaining and thought provoking. The reason why I think Spike Lee enjoy success with this film is because he found the balance between humor and message. I our current polarized society, shouting louder than the next guy has diminishing returns at best. If you're using your art to convey a message that's important to you, then find a way to share it without alienating the very audience that you want to convince. Crazy Rich Asians - Rich boy falls in love with sweet girl of lesser financial means. She then has to win over the family to move the relationship forward. My lesson from this movie was a reminder not to overlook the power of love. The trick is, how does one tell the story with a fresh voice? My answer is, that the message is so universal, that if you can put a new face on it, viewers will embrace it. Photographs that capture the relationships in life can indeed be powerful. Don't forget to look outside your own culture for these images. A long-standing emotion with a different look can make viewers pause and take note. The Ballad of Buster Scruggs - This Cohen Brothers film shares a series of short stories with a theme that portrays to twists and turns of life. 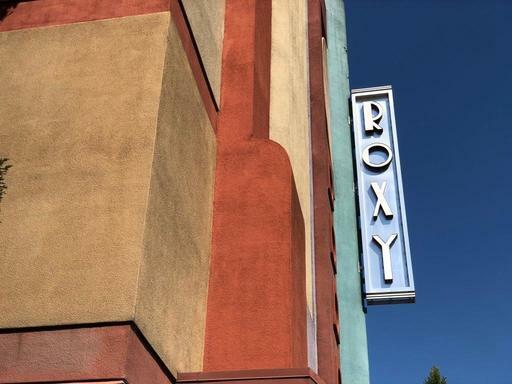 The collection of shorts presented in one movie shows the power of a photo essay. We're able to see the different angles of how this theme plays out as we progress from one vignette to the next. The parts come together with impact, and in a way that none of the individual stories could on their own. Image Quality - The higher quality your images have, the heavier the files would be. When you have lots of big and heavy image files on your website, it would affect your page speed. You could speed up the loading of your website by slightly reducing your image quality. In Portfoliobox, you can adjust the image quality by clicking on the Cogwheel Icon > Settings > General > Website > Image Quality. The image quality scale is from -1 to 1. -1 is the lowest and 1 is the highest. You can try out different quality level to find the best option for your website.. I've added my Portfoliobox site to the nav bar on TheDigitalStory.com as the About Me page. I can't think of a better way to introduce myself to the public. 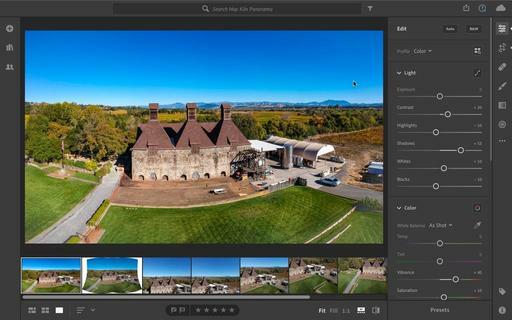 The application for Windows and Mac will be called AirMagic and is AI powered "to transform photos made with a drone from great to breathtaking." It will become available sometime in spring. Looking at the teaser video above AirMagic is capable of detecting what drone camera an image has been captured with. It can then scan the scene for haze, skies, and presumably other image elements and artifacts, before automatically adjusting exposure, color and other parameters for an optimized end result. We've started registrations for Sonoma Coast Exploration, and it looks like we have two seats open. So I've updated the inventory on the reserve list page. And you can place your deposit if you want to join us. Inner Circle Members: I have a new goodie for you this week. Go over to the Patreon site now to watch an introduction to how the new library manager works in Luminar 3. Now that version 3.0.2 is out, I think Luminar 3 is worth a look. If you're curious, take a look at this benefit for Inner Circle Members. And if you want to join the Inner Circle, visit our Patreon site, or click on the tile that's on every page of The Digital Story. 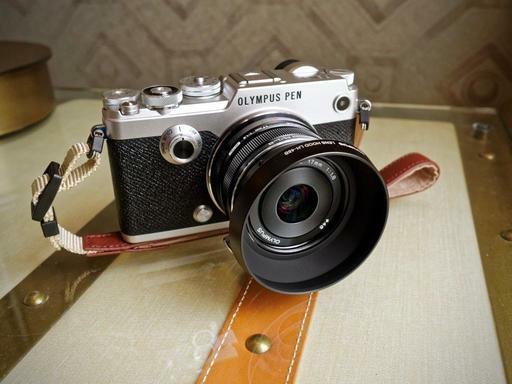 Olympus has confirmed that it will discontinue production of the PEN-F. Online, many people are reading many different things into this report. But my take has always been that the PEN-F was never meant to be forever. My first week with the PEN-F, January 2016 in Austin Texas. Photo by Derrick Story. When I first held the camera at an Olympus event in Austin, Texas, I knew this was something special. It was beautifully machined, well-specified, and truly unique in the world of digital photography. I also believed then, that there would never be a PEN-F II, just like there will never be another Sistine Chapel. In the world of digital photography, we don't get to experience this often. Digital, by its very nature, is reproducible over and over again. Because the PEN-F had a digital sensor inside, many believed that it too would evolve into copies and variations well into the future. I honestly don't think that was the plan. Sometimes you do something just because it's beautiful, then you move on. 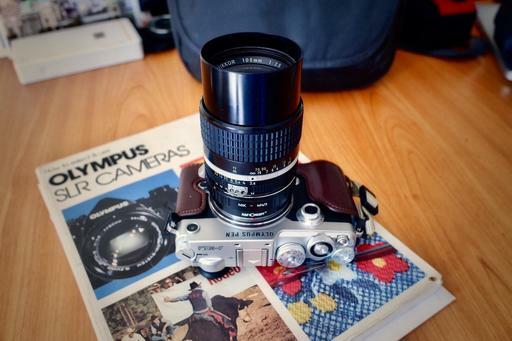 Olympus PEN-F with a Nikon Series E 50mm f/1.8. 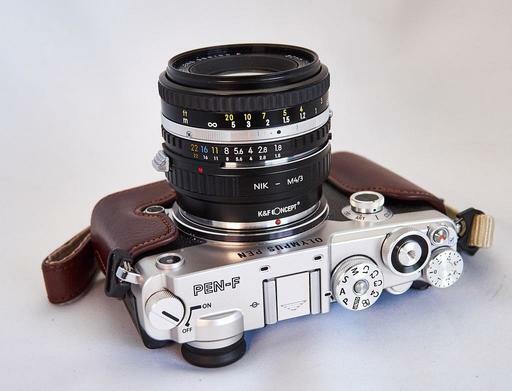 Wonderful camera for adapting analog lenses. I suppose that I should now retire my PEN-F to a locking glass cabinet and admire it from afar. But, that's not going to happen, at least not yet. It's going to stay in my camera bag with its Panasonic Lumix G 20mm f/1.7 II lens mounted on the front. I'm going to ride this horse off into the sunset. And only then, when he can run no longer, will I retire him to pasture. The Nikkor 105mm f/2.5 Ai-S was already revered before Steve McCurry photographed the Afghan Girl with it mounted on a Nikon FM2. But that portrait, on Kodachrome 64 film, sealed its legendary fate. And for good reason. The 105mm is a superb optic, even today. Nikkor 105mm mounted on an Olympus PEN-F digital camera. In fact, it's so good that I can still use it on my digital Olympus PEN-F as if it were a modern pro optic, not one that Nikon stopped building in 2005. All I need to make the connection between glass and sensor is an inexpensive K&F Concept Lens Mount Adapter ($22). I then register the lens on the PEN-F (Menu K > Lens Info Settings) so that its info appears in the metadata for each image captured with it. I love this Olympus feature. I then shoot in Aperture Priority Mode at f/2.5. I can't ever remember stopping down. Pearl O'Keefe captured through the Nikon 105mm Ai-S on an Olympus PEN-F. Photo by Derrick Story. I shoot RAW+Jpeg with the Color 1 Profile enabled. That profile has a analog chrome look to it. So I get two looks for the price of one with each click of the shutter: one chrome Jpeg, and one RAW file. The 105mm has an effective 210mm field of view on the Micro Four Thirds body. It's actually quite nice, especially outdoors. I can also mount it on my Nikon FG if I want to use it natively at 105mm (which I do, quite often). I recommend Kodak Portra 400 professional film. Pearl O'Keefe photographed by Derrick Story. The Nikon 105mm Ai-S f/2.5 lens still commands a noteworthy $250 price tag on the used market. Most comparable analog lenses go for much less these days. This one, however, has both pedigree and performance. It's truly a joy to shoot with, regardless of the camera it's mounted on. Congratulations to Craig Tooley! His submission to the Portfoliobox Close-Up Photo Challenge is the top entry. The judges selected this portrait because of its excellent rendition and interesting subject content. It's truly a beautiful image. As a result, Craig will be awarded a 1-year Portfoliobox Pro account with custom domain name. We look forward to seeing more work by Craig Tooley presented handsomely on his Portfoliobox site. Thanks to everyone who participated in the Portfoliobox Close-Up Challenge. All of the entries were compelling and enjoyable. It was truly a challenge for the judges to choose the top entry. And a big thanks to Portfoliobox for sponsoring this series of photo challenges. If you want to showcase your finest work in the best light possible, Portfoliobox is the artist's choice. This is The Digital Story Podcast #675, Feb. 19, 2019. Today's theme is "Canon EOS RP - Mirrorless Rebel or Modern 5D?" I'm Derrick Story. The ground is still shaking from Canon's announcement of a full-frame mirrorless camera for $1,300. Are they bringing their successful Rebel strategy to the mirrorless space, or is this something more? Also, a follow-up and correction to last week's show on copyright protection. All of this, and more, on today's TDS photography podcast. Canon EOS RP - Mirrorless Rebel or Modern 5D? One of Canon's best marketing moves was creating the Rebel brand, long before digital. This gave them the ability to introduce new technology in a less rugged package for a very affordable price. 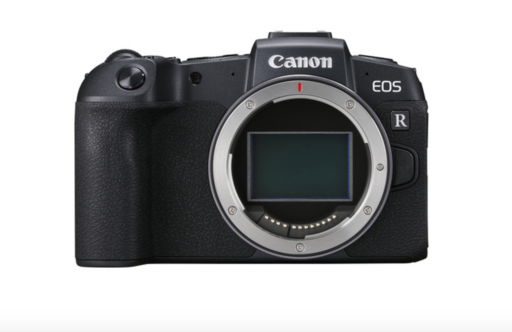 As I look at the just-announced Canon EOS RP, I'm feeling that wave of genius all over again. Let's take a look at its specs. The RP has a few extra features such as the intervalometer function and 4K Video Time-lapse. 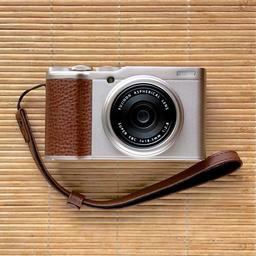 It also has a silent shutter mode (electronic). But there are a few things missing as well. 5 fps continuous shooting (4fps with AF Tracking enabled) 50 frame limit in RAW format. There are currently four lenses available and the brand has announced the development of six more in 2019. 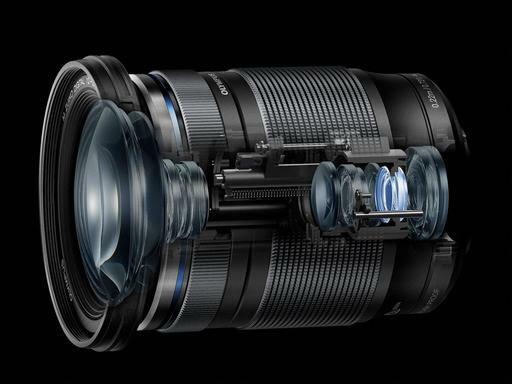 Most of these lenses (fast zooms and primes) are on the expensive side however. The most affordable zoom is the 24-105mm which still costs around $1K. The system needs more affordable kit lenses that can better suit a camera like the RP. Canon includes an RF to EF adapter in the box so that you can have access to its vast selection of DSLR lenses. However given the compact design of the RP, this solution will likely unbalance the camera. Minimum weather sealing - no gaskets. Operating temperature only down tp 32 degrees f.
All in all, I think that the specs for the RP are very impressive. And if you didn't have to mount a lens on this camera, it's a bargain. But you do, and the 24-105mm RF lens is roughly a $900, and weighs 1.5 pounds. The best choice right now is the Canon RF 35mm f/1.8 IS Macro STM Lens, which is available for $450. After that, the affordable pickings are pretty slim. Overall, the Canon EOS RP goes beyond the Rebel series and is more like a lightweight 5D at its introduction. And once there are lenses for this camera, photographers can make real decisions about its usefulness for their work. Move images from one gallery to another - You have uploaded photos to a gallery but think some of them would fit better in a different one. You don't actually need to manually delete them and upload them again -- we've saved you some time and made it effortless. Select the images that you wish to transfer and choose the new gallery under the drop-down menu Move to gallery. 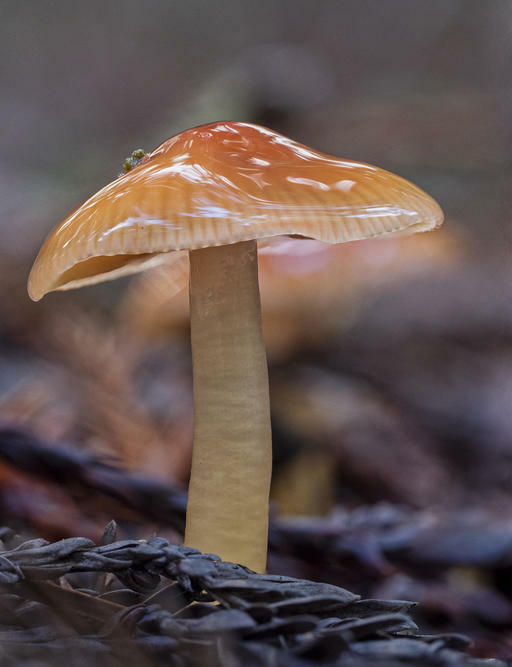 Congratulations to Craig Tooley, the honored image in our Up Close photo challenge for his mushroom image. Craig wrote, "It was shot held on a beanbag at 1/8 of a second with what I would list as a lenses I would be hard-pressed to give up, the Olympus 60 mm f2.8 would be one of those lenses. It's very sharp I think and fast and light and is just exquisite on the Olympus OMD EM1 mark 2." Craig will be upgraded to a Pro Membership for his efforts. I received some very helpful email from listeners after last week's interview with Maggie Hallahan about copyrights for photographers. I'd like to share a couple of them with you now. None of this is legal advice. Rather, these are real life experiences of photographers in our audience. Scott Davenport wrote: "Caught up on TDS 674 today. Interesting info from Maggie about the business side of her client dealings. With copyright though, I am pretty sure the registration of an unlimited number of photos is gone as of mid-2018. Whether it is published or unpublished works, a single application is capped at 750 images. It's much more expensive to register all photos from a given shoot, especially if you're a prolific photographer (i.e. weddings and events). For my work, I copyright only my published works. There is a provision that, so long as your application is submitted within 90 days of first publication, you can get full protection under copyright law. It takes an amount of discipline, but very doable. To the point you raised in the podcast about workflow, this might be of interest to your audience. 1. Unlimited submissions are a thing of the past. Group submissions of unpublished photographs are limited to no more than 750 photos. 2. In addition to submitting the digital photos, completing the online submission (preferred method by copyright office) requires a list with title and file name for each photo in the group. The changes in the number of images per submission were implemented on 2/20/2018. More draconian measures were about to be made later in the year, but the public comment period was extended until June 21, 2018, and then everything stopped. You can read about it in Ed Greenberg's and Jack Reznicki's The Copyright Zone post on May 24, 2018. A big thanks to both Scott and Mayra for there contributions to this conversation. The software we have on the backend can help free us from cumbersome equipment at capture. One example is my "weekend kit" that I carry with me when out and about with family and friends. Most of the grab shots are in Jpeg mode, but if I come across a scene that would benefit from RAW, I can capture a .RAF file with the simple press of a button the the back of the camera. By doing so, I have all of my options available to me later in post production. Once I return home, I have a specific workflow that helps me maximize the content that I've captured in the field. I process the RAW files in Capture One Pro 12. 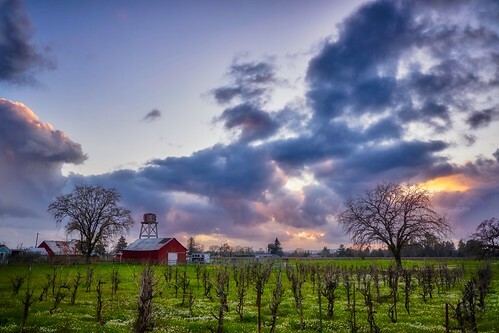 This latest version does a great job with Fujifilm RAW files, pulling out all of the color and detail. Plus, while I'm there, I can fine tune the image a bit with the new Luminosity mask or a graduated screen. There are lots of things that I could do at this point. And to be honest, this is where most photographers will diverge from my workflow. But I'm going to tell you anyway. I then export a maximum resolution Tiff file, import it into Photos for macOS Mojave, and use the Luminar 3 Editing Extension to finish the shot. One of the reasons why I move my best shots to Photos after processing in Capture One Pro 12 is because of iCloud. The image is automatically backed up and propagated to all of my devices. I can use it right away for Flickr, Instagram, Facebook, etc. Plus, I have the good feeling of knowing that my favorite work is archived without any further effort on my behalf. 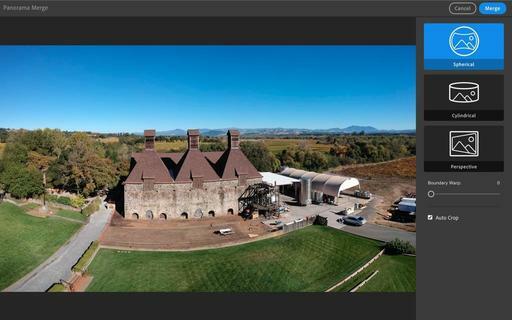 The other reason is because the Luminar 3 editing extension is just so darn good. The finishing touches I apply with that app really make a difference, and the changes are automatically saved to the images in iCloud. Side Note: Luminar 3 is on sale for 29 percent off through Feb. 18, 2019. That's only $49 for this impressive app. I only use this Capture One Pro 12 > Photos > Luminar 3 workflow for my favorite shots. The rest of the images are backed up traditionally via hard drive in Capture One. But those favs... they are culled out and are now in my pocket, and available to share at anytime, anywhere. You learn all the ins and outs of Luminar via my Essential Training on lynda.com and on LinkedIn Learning. It's fun, and I promise, you will improve your shots. You can get familiar with this imaging software by checking out Capture One Pro 11 Essential Training on LinkedIn Learning. You can also tune in on lynda.com if you prefer your training there. My updated Capture One Pro 12 Essential Training should be out next month. Stay tuned. If you don't like changing lenses on your Micro Four Thirds camera, you might be interested in the new Olympus M.Zuiko Digital ED 12-200mm that covers a whopping 24-400mm effective focal length. The M.Zuiko Digital ED 12-200mm F3.5-6.3 lens features dust-proof and splash-proof construction, making this lens durable enough to withstand the toughest shooting conditions, especially when paired with a weather-sealed Olympus OM-D camera body. ERO (Zuiko Extra-low Reflection Optical) coating, Olympus' cutting-edge thin-coating technology, cultivated from multilayer film disposition technology used in microscopes, has been applied to the M.Zuiko Digital ED 12-200mm F3.5-6.3 lens to drastically reduce ghosts and flares, contributing to a clear, high-contrast image. The lens weighs 1 pound (455 grams) and has a f/3.5 to f/6.3 maximum aperture. 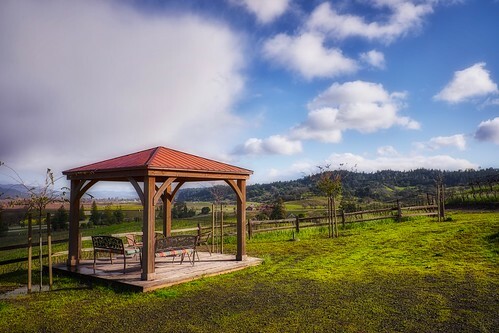 When shooting wide, the closest focusing distance is approximately 22 cm (approximately 10 cm from the end of the lens) from the main subject for capturing the subject along with an expansive background. When shooting telephoto, the maximum magnification of 0.46x (35mm equivalent) for close-up photography and for significant background defocusing. This do-it-all lens is perfect for close-ups of children's expressions, indoor and outdoor situations and a variety of other subjects. 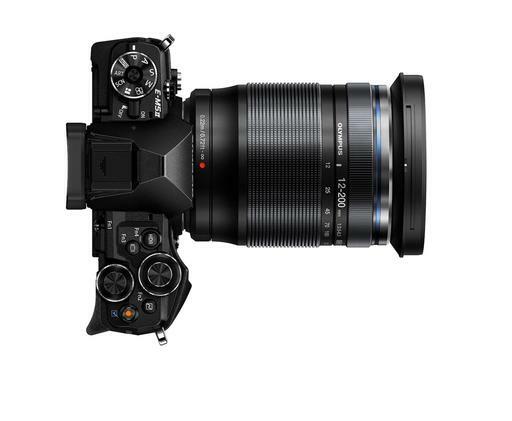 You can preorder the Olympus M.Zuiko Digital ED 12-200mm now with an estimated March 2019 delivery. The price is $899 U.S.
Lightroom CC photographers rejoice! 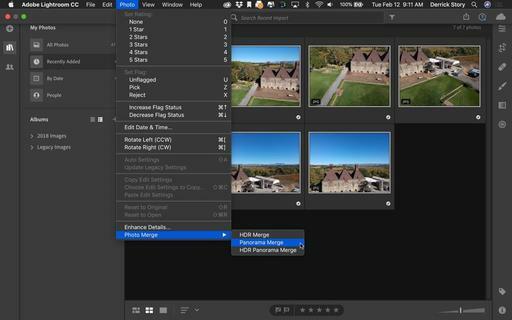 We now have HDR Merge, Panorama Merge, and HDR Panorama Merge in the latest version of Lightroom CC (V 2.2). And it works great. Step 1 - Select your images, then go to Photo > Photo Merge. The process should feel very familiar to you. Select your image, go to Photo > Photo Merge, choose your projection, check the box for Auto Crop unless there's a reason not to, then after merging, adjust the final image with Lightroom's develop tools. Step 2 - Choose your projection and check the Auto Crop box. Then click the Merge button. The merging speed with Lightroom CC was quite good, as were the results. I did get one application crash during the final development stage while playing with presets. But the merging itself was, well, seamless. Step 3 - Fine tune your image with the develop tools. In addition to the merging technology, we also got the Targeted Adjustment Tool in this version of Lightroom CC, making version 2.2 an excellent update. This is The Digital Story Podcast #674, Feb. 12, 2019. 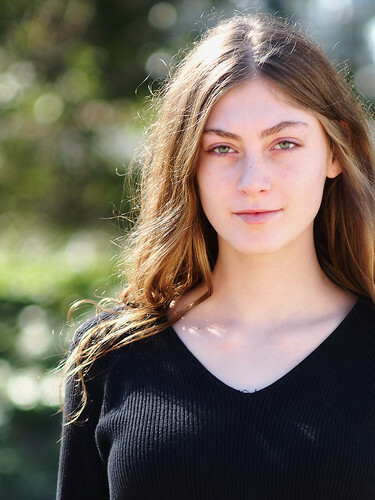 Today's theme is "Photography and Copyright - An Interview with Maggie Hallahan." I'm Derrick Story. The online world has changed the business landscape for artists who care about protecting their intellectual property. But there are reasonable, affordable steps that you can take to protect your images from being used by others without your permission. And on this week's show, I talk with professional photographer Maggie Hallahan about those very steps. I hope you enjoy the show. 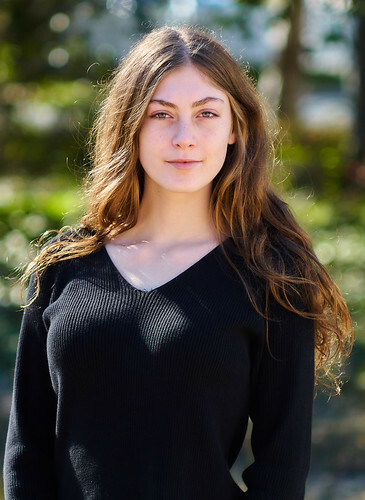 Even though Maggie's client list include big names like Microsoft, the things she's learned to prepare her for those jobs can help us in our everyday photography projects. 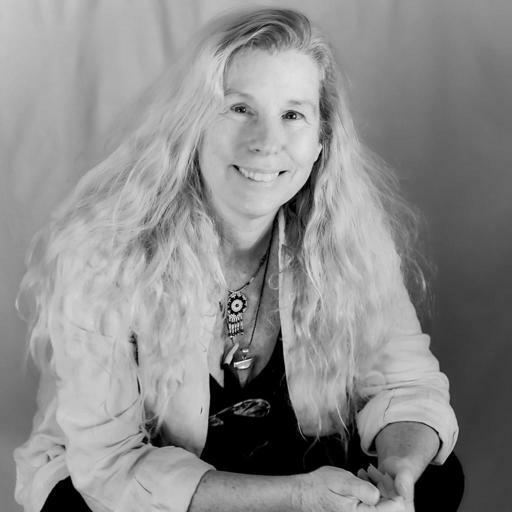 In this interview, Maggie covers the specific steps that she takes to copyright her images. You can learn more about Maggie by visiting her site, mhpv.net. Here's how to create a professional looking contact page in Portfoliobox. This step-by-step video makes it easy, and you will have your online in just minutes. Recovery Pro goes beyond JPEG files and recognizes other types of photo files as well, including most types of files (including RAW) from cameras by companies like Canon, Nikon, Sony, Fuji, Panasonic, DJI, GoPro, and more (e.g. TIF, CRW, CR2, DNG, NEF, ORF, SRF, PEF, JPEG, BMP, GIF, PNG). In total, the software is currently capable of recovering over 90 different types of photo, video, and audio files from SDXC, microSDHC/XC, CompactFlash, and CFast cards. ProGrade Digital Recovery Pro is compatible with both Windows 10 and Mac OS X, and it's available for $50 for a 12-month subscription. If you'd like to give it a try, there's also a "try before you buy" evaluation copy. The reserve list has filled up, and registration starts next week. If you want to be on the waiting list, drop me a line via the Contact Form on www.thenimblephotographer.com.